The Town of Taber will host the annual Taber Pheasant Festival October 20-27th, 2018. This event brings over 800 hunters to the Town of Taber, to celebrate the pheasant and educate hunters. Have you ever wanted to learn to hunt? 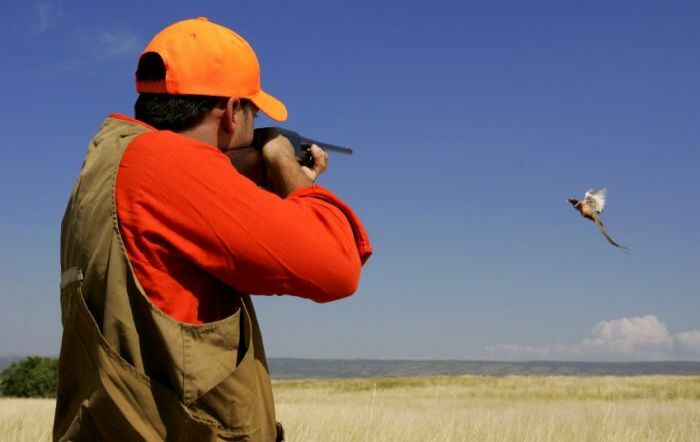 Each year, the Taber Pheasant Festival features a Novice hunt the first weekend which allows new hunters to learn gun safety, shoot clay targets, and receive shooting instruction from mentors. After the instruction, novice hunters will have an opportunity to hunt pheasants with a mentor. To learn more about the novice hunt, please visit the Alberta Conservation Association's website. On October 22rd, the festival's Game to Gourmet culinary event is back. Professional chefs will present a special demo and tasting of gourmet pheasant based dishes at Tank 77 Bar & Grill. Tickets for this event are $15/person and can be purchased in advance on the Alberta Conservation Association's website. Tank 77 Bar & Grill will be hosting a free tasting event on Wednesday, October 24th. Come sample and discuss Scotch with an ACA expert. The scotch tasting will begin at 7:00pm. Wednesday at Tank 77 Bar & Grill is also Wing Night; enjoy 10 wings tossed in your favourite sauce for half price! The Heritage Inn Banquet & Silent Auction will take place on October 25th at the Taber Community Centre (4720 - 50 Street). The banquet is an opportunity to thank the participating landowners and sponsors, while also helping to raise funds for next year's festival. Space for this event is limited. Tickets are $50/person and are available on the Alberta Conservation Association's website. In 2015, this event was awarded Travel Alberta's Alto Award for Outstanding Sustainable Tourism. The Heritage Inn Hotels in partnership with Alberta Culinary Tourism Alliance and Alberta Conservation Association captured this event, watch our video on Alberta Culinary Tourism Alliance's YouTube channel. Our video strives to highlight the conservation and educational aspect, culinary scene and economic impact the event has on the rural community. If you're attending the event this year, we are offering special room discounts to hunters. Phone the hotel toll-free 1-888-888-4374 or direct at 403-223-4424 and ask the Front Desk for the 'PHEA' promotion.